Silloth Town Council’s allotments are situated at the top of Eden Street, adjacent to Skiddaw Street. 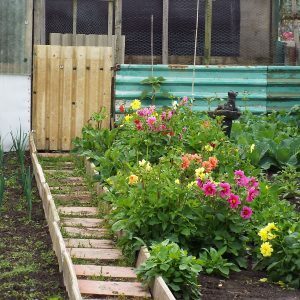 Allotment gardens are extremely popular and there is often a lengthy waiting list. Nevertheless there is a fairly regular turn over of plots and it is well worth putting your name down. 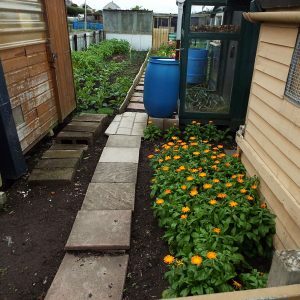 To apply for an allotment please complete the form below and return it to Silloth Town Council at 5 Burnswark Terrace, Solway Street, Silloth. You will then be added to the waiting list and be contacted again as soon as you reach the top of the list. When allocated an allotment the new tenant signs a tenancy agreement which contains a number of clauses to ensure that the allotment is well cultivated and that no nuisance is caused to neighbouring plot holders. A copy of the regulations can be found here. The current prices for an allotment varies dependent on the size of the plot. Rents cover the year from November and are reviewed annually. Click here to be taken to a page on the The National Allotment Association website with links to useful documents and websites. For advice on how to ‘Keep Crime off your allotment’ click here to download a leaflet produced by Cumbria Constabulary. Allotment gardening is great fun and extremely rewarding, but it is also a lot of hard work; so if you don’t think you can manage a full sized plot, don’t be put off asking for a smaller one. 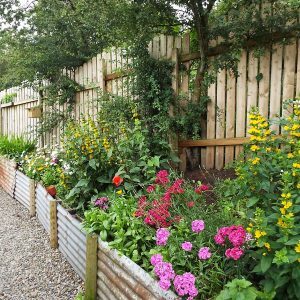 Being faced with an overgrown plot might seem like an impossible and daunting job, but armed with a plan, the right tools and plenty of elbow grease; you can soon turn a wilderness into a workable piece of land ready for planting. On the allotment there will always come a time when you need to dispose of old plants, leaves and general rubbish. Flooding can destroy years of dedicated work in an allotment or garden; and with scientists predicting that climate change will continue, we should expect to experience more frequent flooding in the future. What can your plot do for Wildlife? Under the 1950 Allotment Act, the keeping of hens and rabbits is permitted on allotments and viewed as an allotment holder’s right, so long as they are for the tenants own use and not for business or profit. However please do check your tenancy agreement first, as in some circumstances your landlord may have included a clause relating to the keeping of animals.